After making / diy'ing my Custom Pinch Pleat Curtains, I also wanted a new curtain rod. 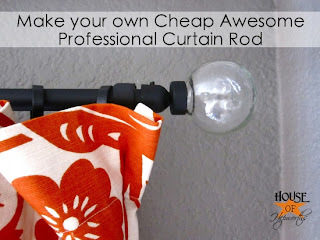 It provides a detailed account on how to make your own curtain rod and is where I got the idea to use electrical conduit! Ingenius! 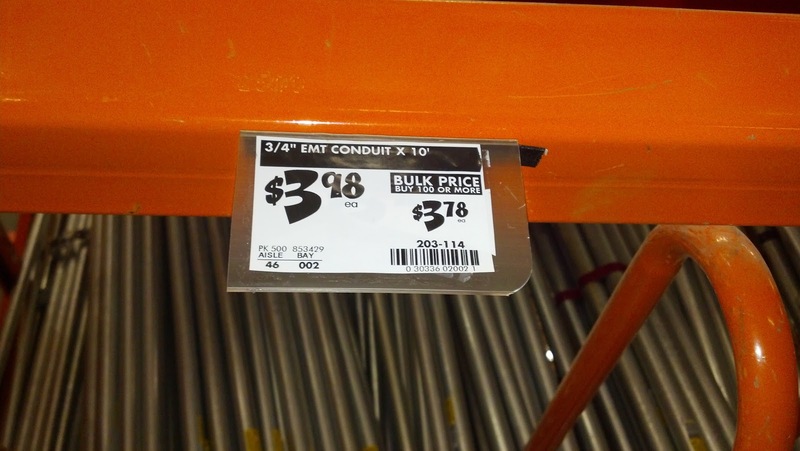 So... off Eliana and I headed to Home Depot where we found that electrical conduit is very cheap! An 8' solid metal or wooden rod usually costs $40 or much more. I wanted to use an old curtain rod we weren't using anymore for the finials. The rod was about 1/2" in diameter so I needed electrical conduit that was slightly larger in diameter so that the old rod could slide into the new rod. 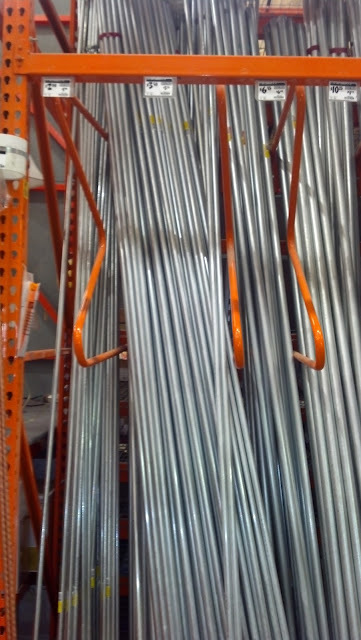 We purchased 3/4" electrical conduit. They are sold in 10' sections, but the very nice employees at Home Depot cut it for me to the 8 feet that I needed :-) We also picked up some spray paint to paint the electrical conduit rod an oil rubbed bronze color. Once I arrived home, I spray painted the rod. I applied a few coats and rotated the rod a 1/4 turn every time I applied a coat so that I was able to evenly spray it. I then slid the old rod into the new rod. You can see the glass finials sticking out from the newly painted rod. 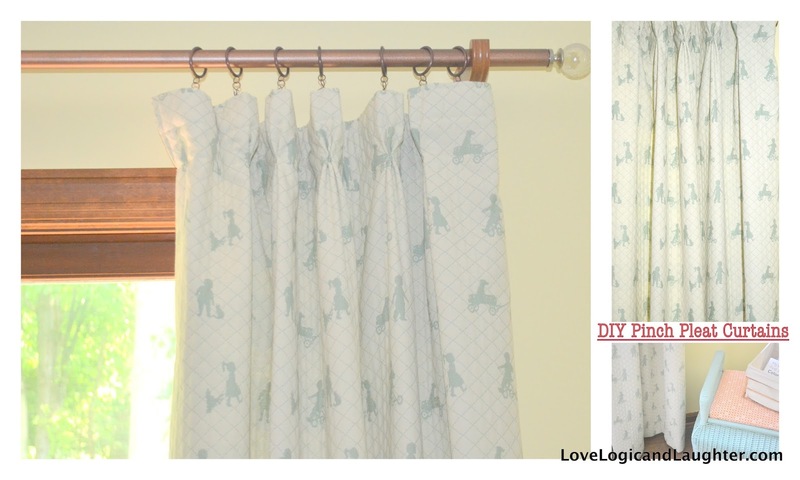 Then I hung the rod and measured the distance from the rod to the floor so that I could make my Custom Pinch Pleat Curtains shown in these pictures - diy tutorial on how to make your own curtains coming soon! I would love to hear your comments or try and answer any questions!